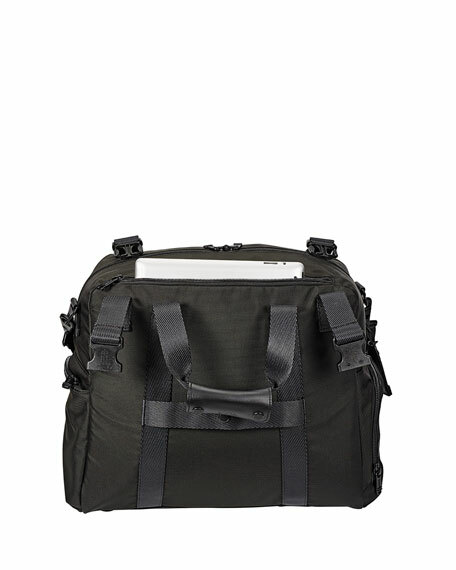 Crafted from our ultra-durable ballistic nylon, this sturdy and stylish travel satchel is equipped with a multitude of smart interior and exterior organizational pocketsincluding a dedicated laptop pocket. Carry it by top handle or on your shoulder. 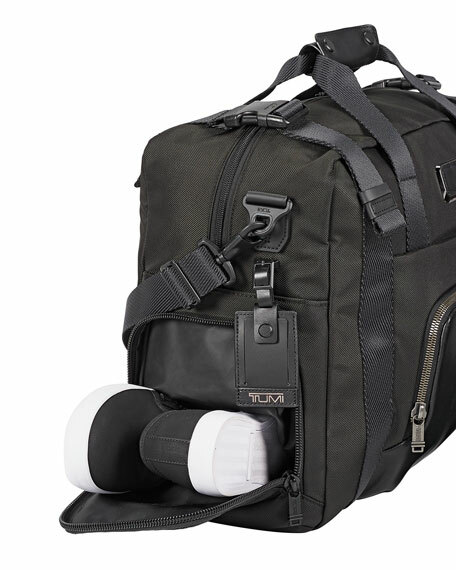 19"W x 9"D x 15"T.
Since 1975, TUMI has been creating world-class business and travel essentials, designed to upgrade, uncomplicate, and beautify all aspects of life on the move. Blending flawless functionality with a spirit of ingenuity, we're committed to empowering journeys as a lifelong partner to movers and makers in pursuit of their passions. The brand is sold globally in over 75 countries with upwards of 2,200 points of sale. Ultra-lightweight rolling duffel made of durable, easy-to-clean, abrasion-resistant, denier nylon over a polyfoam frame. Poly-coated nylon lining and PVC trim. Ultra-lightweight rolling duffel made of durable, easy-to-clean, abrasion-resistant, denier nylon over a polyfoam frame. Poly-coated nylon lining and PVC trim. Retractable handle and pockets for easy organization. 21"L x 13"D x 10"T. Imported. 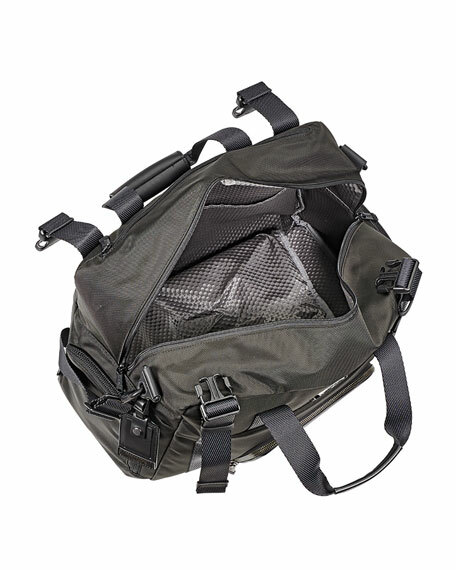 Duffel made of PVC-coated polyamide. Leather details. Polyester lining. 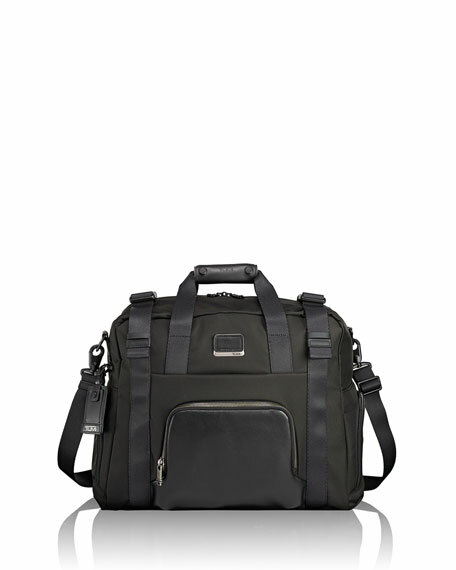 Exterior zipper compartment. Interior zipper compartment. Tie-down straps. Telescopic handle. Inline skate wheels for smooth rolling. 21"L x 8"W x 12"D. Imported.